Springtime is here, and Easter is quickly approaching. For me, nothing says Easter quite like the flavor of Reese’s peanut butter cups. In an attempt to get into the spirit, I decided to try experimenting with some mead flavors. 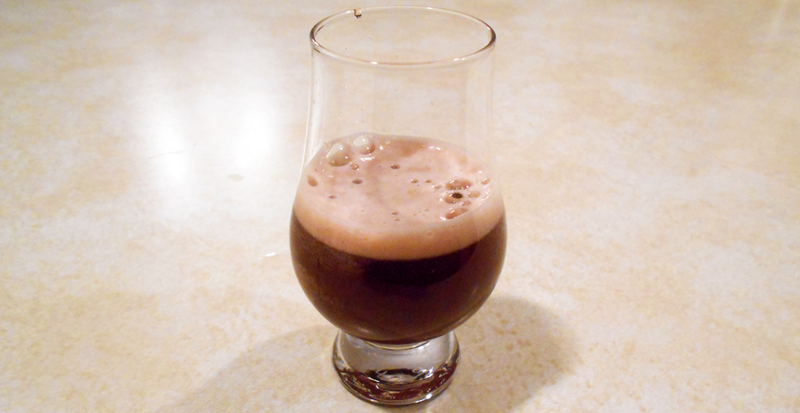 I have tried a few craft beers with a peanut butter taste, as well as a couple of PB&J meads (one of which had a strong peanutty flavor), and wanted to try to recreate something in that vein. I happened to have a few containers of this PB2 product – essentially powdered peanut butter. It usually used in shakes, and the like, as it is easier to mix in than peanut butter is in spread-form. 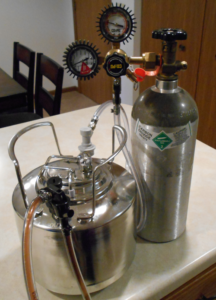 I had also read online of a few homebrewers having made use of it to some success. Pure peanut butter can be difficult to mix in fully, and given the oil content tends to separate, can cause the drink to spoil relatively quickly. I made two test batches to see how this turned out. A plain peanut butter flavor, and one with the chocolate PB2 powder – which hopefully will get a bit closer to a Reese’s. Here we are, four weeks later. Most of that sediment at the bottom is the peanut butter powder. You’ll want to stir frequently, as it settles out pretty quickly. It has a strong peanutty scent to it. 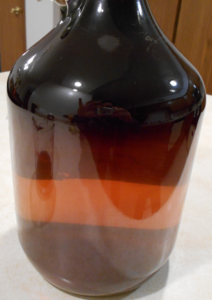 The Cherry mead was another among my experimental batches that began its life as part of a four gallon plain mead that I made so I could split it into 4 separate one gallon flavors. I started with 7.75 pounds of honey, which got divvied up after fermentation had completed, so the numbers might be a bit odd. Also among this batch: Mojito Mead. 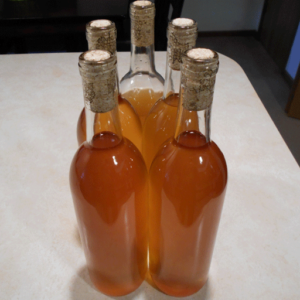 This mead went through several different changes throughout the course of its development. This originally had a nice crisp, slightly tart cherry flavor to it. Very tasty, but I thought it was a bit one dimensional. I had wanted to experiment with oaking and decided this could be an opportune brew to try it on. I have some oak cubes that are soaking in some rum I picked up in the Bahamas. The idea behind this technique is that the cubes will absorb some of the rum and slowly infuse that flavor, along with the oak flavorings while the liquids diffuse through the wood. Unfortunately, I forgot about this experiment for a couple of months (nearly 8). Oops. The oak cubes had pretty much washed out the cherry flavor, leaving it kind of dull tasting. To remedy this, I ended up adding an additional half gallon of tart cherry juice to the gallon of mead after stabilizing it. All of this was place in the keg, and carbonated. Given that the added cherry juice never fermented, I think this still qualifies as a mead, but that’s probably borderline given how much cherry juice is involved – at this point it’s essentially a cocktail. But the cherry flavor has returned! Strong and tart, with a subtle hint of the oak and rum in the background. The light fizz adds a bit of fun to the texture, although it doesn’t stick around too long after pouring. This was my second attempt at making use of my mini-keg. The first being my Mango Serrano Pepper Mead. This one held its head much longer than the previous, which I was happy to see. This was a fun little experiment. 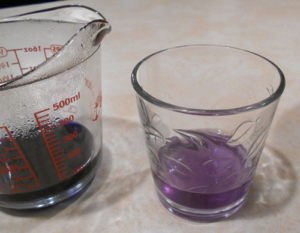 Butterfly pea blossoms occasionally make their way into tea mixtures. 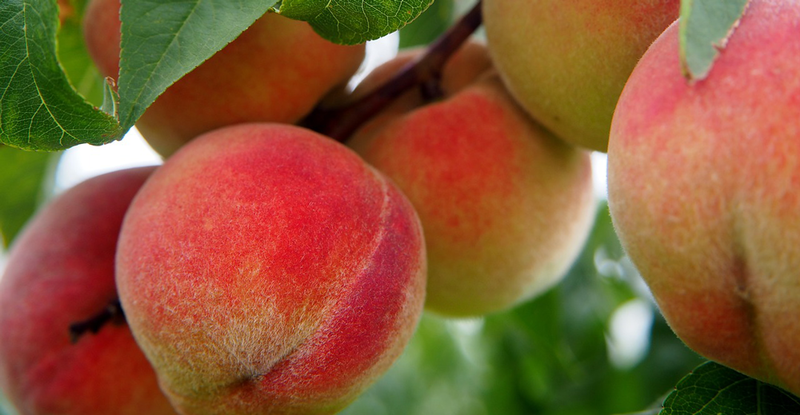 Not for any real flavor reasons, but rather for the striking color that comes out of them when steeped. Butterfly pea blossoms happen to be one of the few sources of a naturally occurring bright blue. Even more interesting, is this coloring’s ability to shift hue based on the acidity of its surroundings. 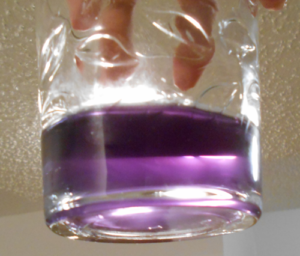 The more acidic it is, the more the color shifts into a bright violet/purple. So, if you’re looking to turn some heads, give this little additive a try. 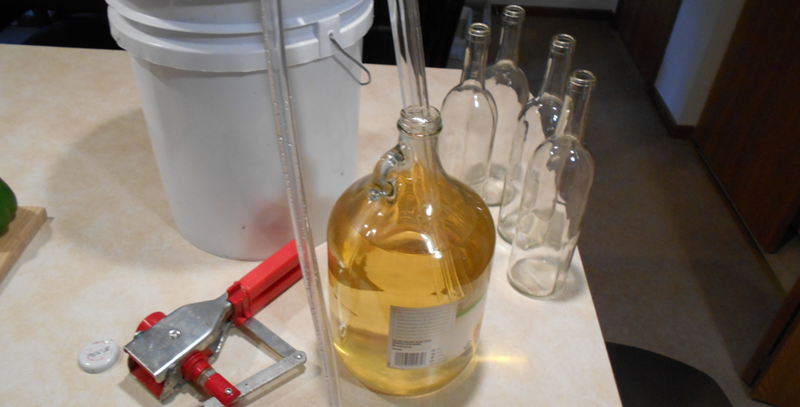 For my first test of this, I wanted a simple, plain mead to add it to. I made a small one gallon batch. Once your primary has finished, you’ll want to add your pea blossoms to a small pot, with enough water to just barely submerge them. Heat until it is just about to simmer, then remove from the heat. You’ll immediately see the blue coloring begin to seep out of the petals. Give this a few gentle stirs to make sure you get as much color out as you can. You could probably get away with less of the blossoms. You end up getting a lot of color out of it. I re-added some water to the petals I had just used and got enough color to seep out that I could add to other batches in the future – which I saved in a jar. 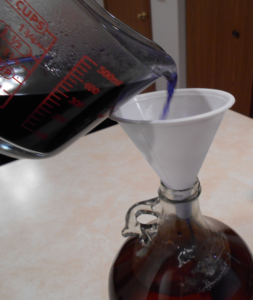 Add the now blue water to your mead. 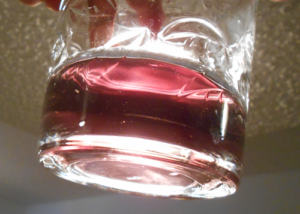 Most meads tend to be somewhat acidic, so this will immediately start to shift to that bright violet hue. 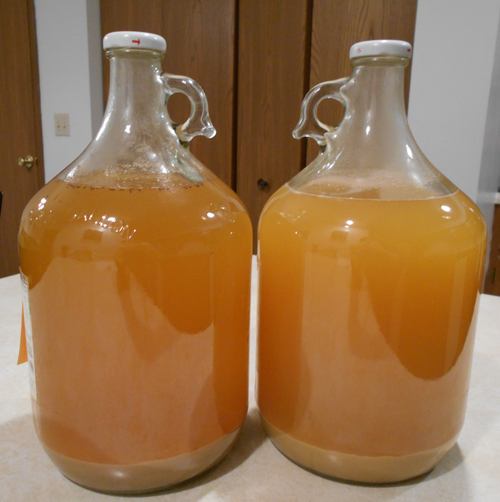 There are ways to make your mead more basic, but it can be difficult to keep it tasting good. I have not heard of much success from other brewers who have attempted it. You will probably want a lighter colored honey to be your base, in order to better show off the color. I used some honey that I’ve had around for a while, and it has darkened a bit with age. So this experiment was not the best showcase of the brilliant color that can occur. It ended up a rich, dark burgundy color, which is still pretty interesting. 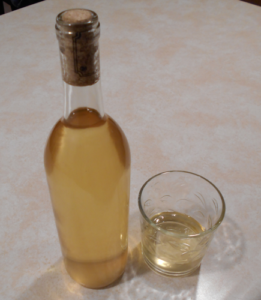 I did add a splash to a glass of my peach mead, which is a very light color, just to show off what it can look like. 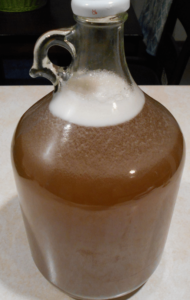 This brew began its life as part of a four gallon plain mead that I made so I could split it into 4 separate one gallon flavors. I started with 7.75 pounds of honey, which got divvied up after fermentation had completed, so the numbers might be a bit odd. A tip on making the tincture, don’t use the bottom shelf vodka. While it should age out over time, it adds a very strong “hot” alcohol nose and taste that will overpower most of the nice flavor and taste you’ve been cultivating. It lead me to not including as much of the tincture as I could have, which lead to a much more subtle mint flavor than I would have preferred. Luckily, the lime came through nicely. It has a nice, refreshing, fruity flavor. And the hint of lime makes an appearance in the finish. It makes for a great summery drink. Definitely one I’ll be revisiting. During a trip to a renaissance fair, I happened upon a honey vendor from the area selling varietal honeys of all sorts. One that stuck out to me was one made from the pollen of Eucalyptus plants. The honey itself was on the dark side, and border-line brown colored. It was sweet and had a hint of that menthol-esque flavor Eucalyptus is known for. 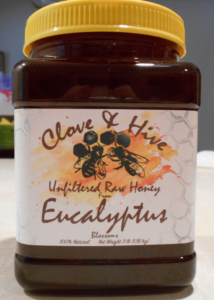 If you’re not located near a medieval honey vendor, Eucalyptus honey is available online. Now, I’ve read mixed things online about using Eucalyptus in mead. 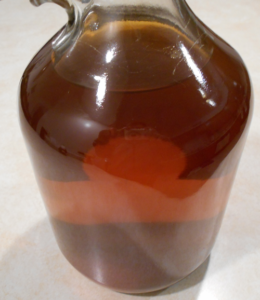 Some sources saying that the menthol becomes quite overpowering and it ends up tasting like medicine, and other have stated that as long as you find the honey palatable, the mead should turn out fine. To add to the confusion, it turns out there is something like 200+ different strains of the plant, so some may be more suited for the purpose than others. 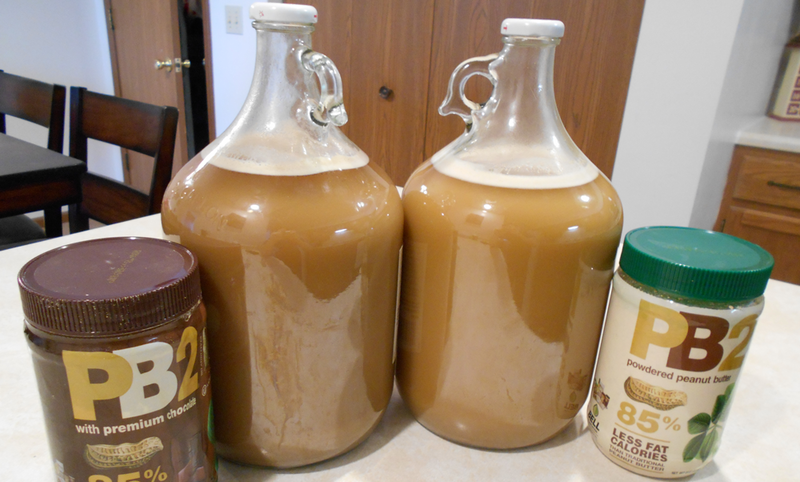 So I picked up a jug of the honey, roughly 3 pounds worth, just enough for a gallon experimental brew. I didn’t do anything fancy with this one. Mixed in the water and honey, used D47 yeast and let it ferment for the next couple of weeks. It started to clear a lot quicker than I expected, and created a nice pale straw colored liquid when it was all done with. I was quite happy with the result. No vile medicinal taste from this, which puts me firmly in the second camp of: if the honey is palatable, the mead should be fine. 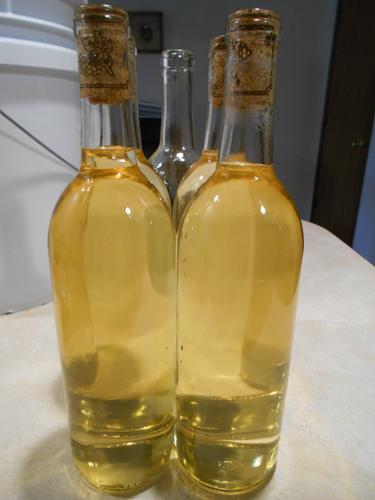 The mead turned out to be of a nice sweetness, with a bit of a tang or spiciness towards the finish. The slight hint of the menthol appears as more of an aftertaste. I didn’t measure the gravitates on this one, but it has a decent kick to it. I hope my experience with this batch has lessened some of the hesitance to use this honey varietal. It is a fairly unique flavor that should be experienced.